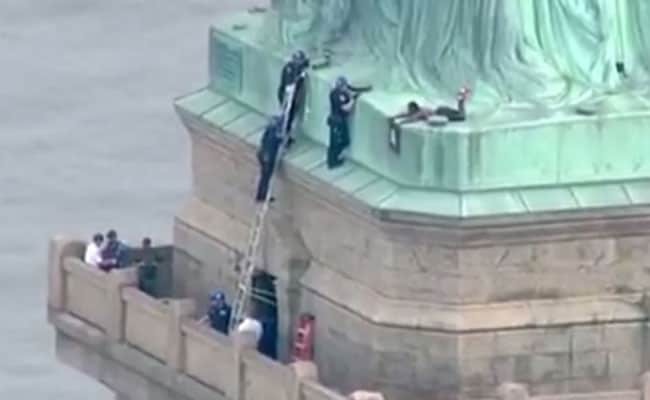 New York police said they were assisting US Park Police to remove the woman from the monument. President Donald Trump has made cracking down on illegal immigration a cornerstone of his administration's policy, and his now-abandoned "zero tolerance" practice of separating migrant parents from their children at the Mexican border triggered international condemnation. Local media first reported that demonstrators opposed to President Donald Trump's zero-tolerance with illegal immigration protested there and that the woman was among the demonstrators. At least seven people were arrested earlier for hanging a banner around the base of the statue that read "Abolish ICE," referring to US Immigration and Customs Enforcement, the agency at the forefront of the immigration debate.